"I was taught that the way of progress was neither swift nor easy"
Overall the number of women engaged in clinical research has increased in recent years. To further examine the contribution of women, authors scrutinized gender differences in research contributions and author positions in articles published in the Annals of Internal Medicine. From 2000-2015 the representation of women authors increased yet remained below 50%. Compared to men, women were less often last authors. "Despite an increased number of female physicians in the workforce, gender disparities continue to exist in academic medicine, and the specialty of emergency medicine is no exception". To provide support to female emergency physicians, staff from Vanderbilt University Medical Center implemented Women in Academic Emergency Medicine (WAM). Authors detail the impact and effectiveness of WAM; outline how to implement the program; and discuss lessons learned. In one of the largest studies comparing resident performance in internal medicine between female and male residents, researchers found female residents were rated higher in two domains and had similar ratings in the remaining domains. 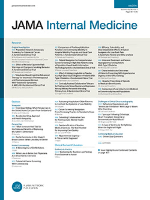 Authors speculate that "the lack of women in leadership positions and in some subspecialty fellowships are not attributed to a difference in performance or knowledge with respect to gender". Proton pump inhibitors (PPIs) are a widely prescribed medication with 19 million prescriptions per year in Australia. Austin Health authors conducted a review of prescribing practices over 14 months and found "60% of myeloma, lymphoma and autograft patients received PPI prophylaxis during and beyond chemotherapy without an accepted indication". Authors note that haematology patients form a unique cohort with regard to PPI prescribing and encourage future research into the appropriateness of PPI prophylaxis. Although breast surgery has a low reported rate of morbidity and mortality, complications requiring a return to the operating room (ROR) still occur. Researchers from the Mayo Clinic-Rochester examined the frequency and indications for RORs following breast surgery. Their findings showed RORs occurred in 4% of patients with over one-third being for a staged oncologic procedure. Authors recommend hospitals consider capturing this data and use it as a benchmark for clinical practice improvement. Is there an increased risk of cardiovascular disease in individuals who are genetically less effective at metabolising caffeine? This study examined "if the CYP1A2 genotype or a genetic score for caffeine metabolism (caffeine-GS) modifies the association between habitual coffee consumption and the risk of cardiovascular disease". Researchers found a U-shaped association between coffee intake and CVD risk, however there was no evidence suggesting that the association was affected by the genetic variants examined. This International Women's Day we are celebrating women at Austin Health who are committed clinician researchers working hard to change patient outcomes. Throughout this week we highlighted a few on our Twitter. Are you an Austin Author? 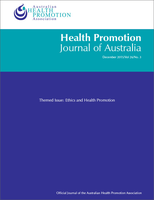 Make sure we can follow your research by including 'Austin Health' in your affiliation. Written by experts in both maternal-fetal medicine and clinical genetics, this overview of perinatal genetics is a useful resource for obstetric providers. Topics covered include genetic counselling, non-traditional forms of inheritance, cytogenetics, and pre-natal screening. Aimed at students, this book explains the fundamentals of respiratory physiology. Each chapter contains clear diagrams and self-study questions. Clinical examples demonstrate the use of respiratory physiology in diagnosis and treatment. Contains the latest evidence on the use of injection therapy for the treatment of musculoskeletal disorders. A practical manual, with step-by-step guidelines in examination, diagnosis and injection technique, supported by extensive colour photographs.